Richard Johnson (BOOBOOK Senior Ecologist) loves conversing with animals. He has been face to face with a roaring silverback Mountain Gorilla in the Congo and a less-intimidating, though equally rare, leaf-tailed gecko in a tiny patch of vine forest near Kilkivan, NW of Gympie, Queensland. On ecological surveys around Roma in Outback Queensland he has found new snail species and he has collected blind snakes out in the Mitchell Grass Downs that are still to be identified. He also reckons he saw a Mahogany Glider a few years before they were officially ‘discovered’ by someone else. 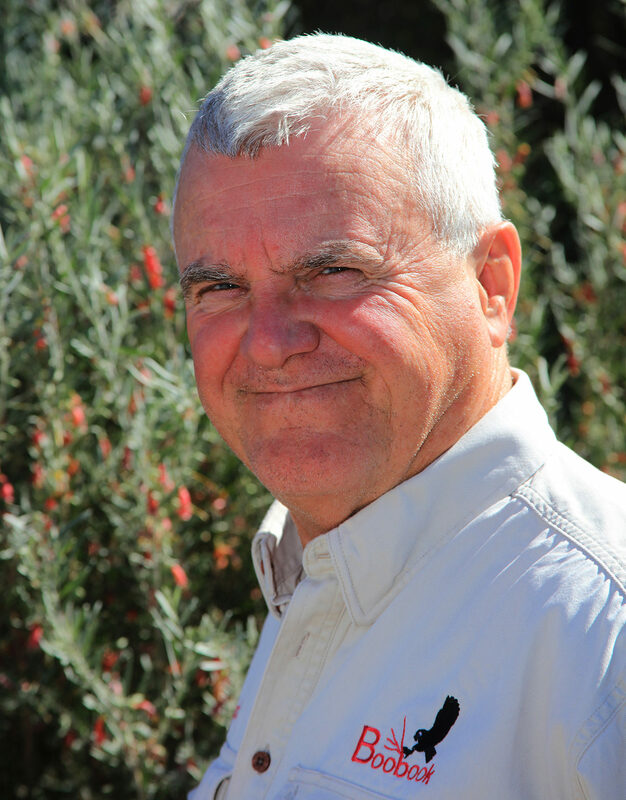 Should you get the chance, let Richard be your guide on a BOOBOOK’s Wheat, Wells and Wildlife Ecotour and he’ll show you one of his favourite places in Outback Queensland – Eurombah Creek. 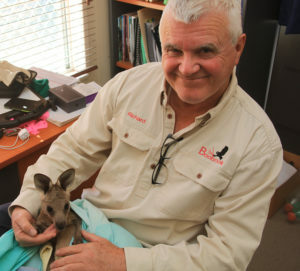 Richard is currently caring for an orphaned roo, named Bean. Bet you wouldn’t find all that fauna without Dr Dolittle by your side. As one of BOOBOOK Ecotours most popular guides Richard loves interacting with visitors and sharing an outback experience with them. This may be walking an unexplored gorge in the Carnarvon Ranges, or a wine and cheese afternoon at the Arcadia Valley lookout on Wallaroo Station. And he’ll be talking to the animals along the way. Particularly chatty, is his dog Chilli, who gets all his attention when he’s at home. Their daily 5km walks get them both up and at ’em in the morning. Give them a wave if you see them around Roma. It is, however, rumoured there is one creature that does daunt Richard – an angry or upset client. Thankfully these beasts are mythical on a BOOBOOK Ecotour.